According to Statista’s 2016 stats, iTunes App Store contains over 2 million apps with more apps being designed and uploaded every single day. A large portion of these apps are education oriented and cover a wide variety of subjects from learning a new language to virtually exploring the human body. However, not all apps do what they claim to do and, even worse, some of them have internal bugs and errors that affect their overall performance and render them inappropriate for use with students in class. That's why teachers are required to develop a vetting process to help them evaluate apps to use in class. 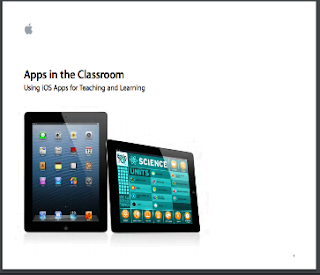 Apps in the Classroom is a resource that will definitely guide you through this process. • 'Is the app inviting and does it give a good first impression? • Is the app intuitive? • Is the app one that students will return to often? Read Apps in Classroom to learn more about how to appropriately select educational apps to use with your students in class.